Earth From Above, Sverre Knut Johansen’s first release on Spotted Peccary Music, introduces a rich, fresh approach to the symphonic-electronic style of orchestrated composition, immediately evoking a soaring perspective of unusual terrestrial landscapes from high above the skies, all illuminated through melodic compositions, at times austere, and always a sound experience filled with emotional, poetic content. This refined approach builds on lush atmospheres, rhythmic elements, melodic structures, and dense layers of endless floating sounds and effects to create dramatic, dreamy landscapes and meaningful enticing journeys. 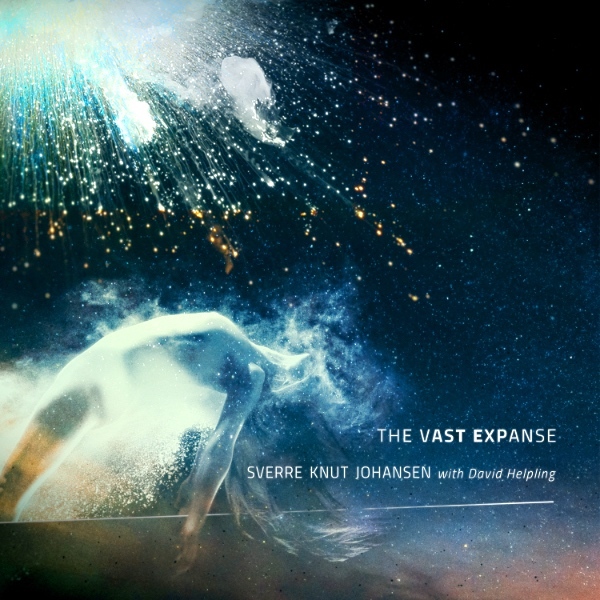 Sverre Knut Johansen – along with featured Spotted Peccary guest artist David Helpling, who contributes emotive guitar textures and tonalities throughout the project – combines a selective array of electronic instruments, guitar samples, synthesizer pads and elements, as well as a diverse menu of rhythmic components and percussive sounds to define his visceral orchestra. This ensemble dances, illuminates, and pulsates as though conducted from the Northern Lights that fill the sky above the composer’s home. But it is Sverre Knut Johansen’s melodic sensibilities that gives this exciting music its focus and purpose, and his attention to detail and dedication to quality production that delivers such an elegant experience. Sound aestheticism! That always be the key element of EM. And the American label Spotted Peccary Music is a factory to produce music which is crowned of an attractive aestheticism of sounds. The last find of Howard Givens' label is another Norwegian artist, the 3rd behind Erik Wollo, now on Projekt, and Green Isac, to see his music invade Spotted Peccary Music's studios; Sverre Knut Johansen. “Earth From Above” is his 5th album, his first one on SPM, and offers more than 60 minutes of EM where the ambiences and the electronic rhythms transcend a bit the usual kind of the Californian label. Here is a very nice album with a surprising breath of fresh air for a sound which seems so near our memories. The chant of a celestial body! The seraphic sigh of a goddess who draws stars from the tips of her fingers. A mislaid saxophone (hey... that sounds like Vangelis) crying its night while a guitar (or a synth?) makes melt its tears which fall such as a dropper. And these lines of synth which bend their feelings, twisting themselves to cry out. "Introduction (Skymood)" invades our ears with this rich pallet of sounds which structure the ambiences of “Earth From Above”. What hold at first the attention, is this mixture of lines from the guitars and the synths which unite their spectral harmonies into tears which stigmatize in a rich musical panorama. That does very Erik Wollo. Normal you will tell me, because Wollo has already produced the music of Sverre Knut Johansen at the time when he was on the Origo Sound label. Except that here, it's David Helping who takes care, and who also collaborates, of the guitar textures. It's an introduction dreamed which guides us to the first harmonies of the crystal clear sequences which forge the elvish dance of "Flying Birds". These sequences dance like imps. In fact, they wave such as these pennants which wind the winds. And their shadows which glitter in the darkness are resounding with the drumming of which the undulatory structure floats between sound fragments and silk murmurs. The 2nd element which holds the attention in “Earth From Above” is the programming of the structures of rhythms. Everything is weaved in the originality, not to say the complexity, with explosive moments, as ambient ones, where each transformation blooms in the unexpected. Here, one would say small steps of children which dance breathless while glass sequences continue their allegorical singing. The rhythm switches for a rhythm of the Islands. A festive tribal approach which little by little becomes electronic with a meshing of quavering and of panting coming from percussions and from pulsations. It's lively! It's original and it dances under a sonic sky covered of these tears which thwart the ear by not knowing too much if they come from an astral six-strings or from a synth to the ethereal poetry. And it could also be a fusion of both elements. So, welcome to this universe all in charms of “Earth From Above”. The harmonies of the sequences get lost in the strong astral currents of "Lost". Here, the perfumes of Vangelis will never have been so present with a synth which unties its thoughts in the textures of ambient guitars from which the harmonies of weeping ghosts melt into those of astral whales. A line of riffs gallops shyly over the ethereal atmospheres of "Lost", crashing in a heavy mosaic of cosmographical groans while a line of sequences emerges out of nowhere and weaves a delicate crystal clear melody and hypnotically anesthetic. There is a perfume of Darshan Ambient, another star of SPM, floating here! It's like hearing the crystal sing. Floating in troubled waters "Awakening", keeps us a little in these moods before making spattering a splendid shadow of Electronica bathed in slamming percussions. Some orchestrations soften the vigor of the rhythm with entrancing layers which embalm this duel guitar/synth of which the breaths of forsaken trumpets are bringing a very melancholic dimension to the track. "Crossing" is a long ambient track filled with dark lines, some are scarlet, which float as veils of threat on some peaceful keyboard chords which sound like tears in the universe of Blade Runner. The hollow winds of "Crossing" are flooding the opening of "Frozen Sky" where tears of synth/guitar are whipping the moods, like stab hits in the fog of nothingness. A heavy and ambient structure of rhythm settles down with noisy tom-toms which roar on lively skins and of which the growls annihilate those tears to the spectral harmonies. Ambivalent, uncertain and even galloping on its line of riffs, the rhythm eventually exploded and scatters the fragments of its discord on the caresses of this tearful melody which finds refuge also in "Echoes of Tomorrow" and its less heavy, but more steady, structure of electronic rhythm. A little as these last Erik Wollo's dreamlike rhythms, and with a guitar which embalms the senses. "#Connecting#Landscapes" brings us to another level. That of an Electronica structured on a rhythmic tumult with constant movements of jerks. This kind of electronic break-dance crosses ambient currents where strolls the nostalgia for a dreamy piano and its melody which floats in the aromas of an ethereal six-strings which always haunts our two hemispheres a few hours farther. The title-track is perfumed by some essences of Wollo. It lead us back to these spirits of ambient rhythms with gyratory loops which dissolve their charms in a panoply of electronic effects and in two lines of contrasting melodies, among which one which eats at once the whims of our hearing. "Great View" is as much ambient as "Crossing" but is also clearly less dark with a thick cloud of orchestrations which plasticize the atmospheres with a slow and gargantuan coat of synth in the colors of more blazing sunset. "Years" makes moving our fingers, otherwise our feet, with a good progressive rhythm, which goes from quiet to lively, structured on a meshing of electronic percussions, kind of clanic ones, and sequences which drum, or stamp, under a sound sky covered of multiple lines to the iridescent colors. Good and lively, as much as for the listening as for the senses! "Found" ends “Earth From Above” with an approach of serenity where long hummings, sculptured in droning twists, are singing in the breaths of a sonic horn of plenty filled by contrasted but so soothing tones. “Earth From Above” is a breath of fresh air! It's this kind of album that little by little, in each new listening, makes its way towards the meanders of our feelings with lines of ambient and floating melodies which are structured in the tears of this fusion of electronic instruments and guitars and which are murmured by spectres. It's an album where the creativity hides behind each note with some totally unexpected forms of rhythms which implode and explode and where the influences of Steve Roach and Erik Wollo are splendidly transported in a sonic fresco which abound in surprises. It's beautiful and extremely musical for the kind. Hat Sverre Knut Johansen! 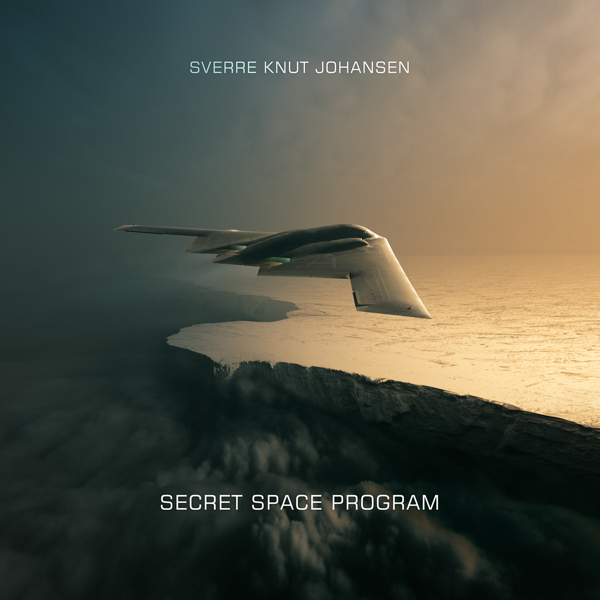 Earth From Above, Sverre Knut Johansen's maiden voyage on Spotted Peccary Music, lives up to its titular promise in presenting a symphonic-electronic set of encompassing stylistic range and scope. Yes, there are ambient elements in play, but the aggressive spirit and declamatory tone of Johansen's music put considerable distance between the album material and ambient proper. By way of example, the combination of beat-driven animation, ambient guitar textures, and synth washes in “Flying Birds” more calls to mind the expansive vision of David Torn's Cloud About Mercury than the retiring quietude of Music For Airports. With twelve tracks alternating between moods and styles over the course of the album's sixty-seven minutes, Earth From Above assumes the character of an instrumental suite or song-cycle. Mood shifts, such as the one from the robust attack of “Flying Birds” to the melancholy contemplation of “Lost,” occur repeatedly and lend the recording something of a travelogue feel. With a muscular beat pattern powering its dynamic synth flourishes, “Frozen Sky” assumes the character of a full-band production, even though Johansen's the only one involved. Such sleight-of-hand is commonplace these days, but convincing simulations such as this one don't render the feat any less impressive. A luscious array of musical and extra-musical sounds unites in the service of Johansen's vision, with the composer's electronic instruments, synthesizers, percussion, and guitar samples abetted by the guitar textures of guest artist David Helpling. An occasional chilliness emerges from the music to remind us that Johansen hails from the northern-central Helgeland region of Norway, just below the arctic circle, but there are moments of warmth, too. If there's a misstep, it's “#connecting#landscapes” for veering too far into an electronica style that by 2016 standards sounds dated, but such a lapse is offset by the stirring beauty of the closing “Found.” One shouldn't lose sight of the fact that, despite its oft-ethereal tone, the album's focus is earth, not the heavens, and in that regard it's only natural that a planet resplendent in vegetation and animal life should be evoked by the material. Earth From Above pulsates with barely contained energy, yet Johansen also does an effective job of balancing exuberance and control throughout this refined recording.